Sacred Heart Cathedral in Suva celebrated Christmas with Vincent House residents on Thursday. The home is for the poor and homeless people. Archbishop Peter Loy Chong said on the day (Christmas) a Saviour was born for the people, the Christ. “Christmas is a festival of joy, happiness and peace and the joy is for Jesus first, others and you last,” Archbishop Chong said. 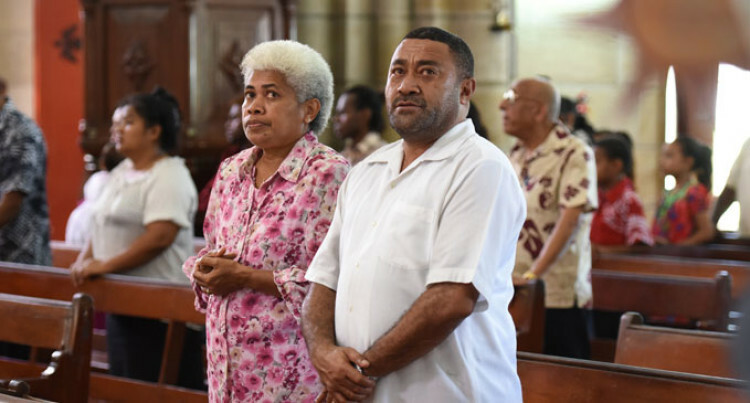 Liturgy mission member, Vinaina Ratureilawa, said Christmas was a joyful occasion where Jesus Christ was born to live and die for everyone’s sins. A resident of Vincent House, Ranadi Nuqeleuda, said Christmas Day was a big day for them.